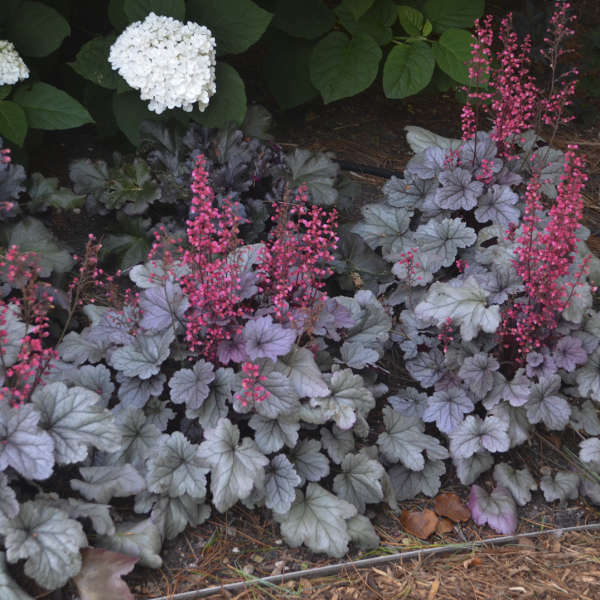 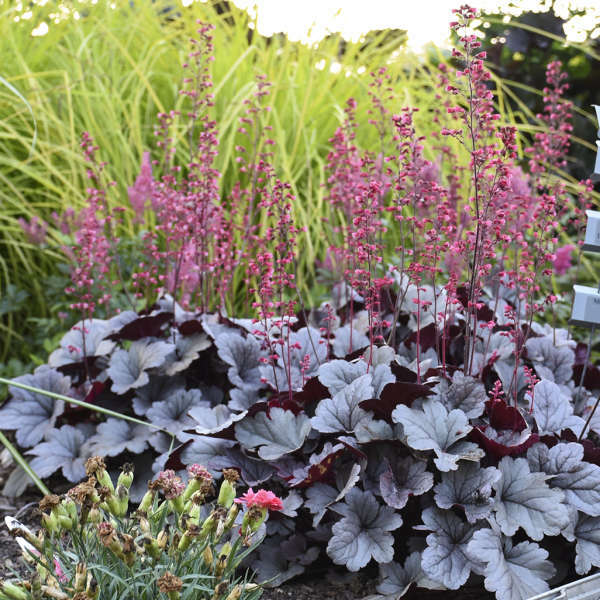 If you’re looking for a silver Heuchera to brighten up your shade area, you’ve found it. 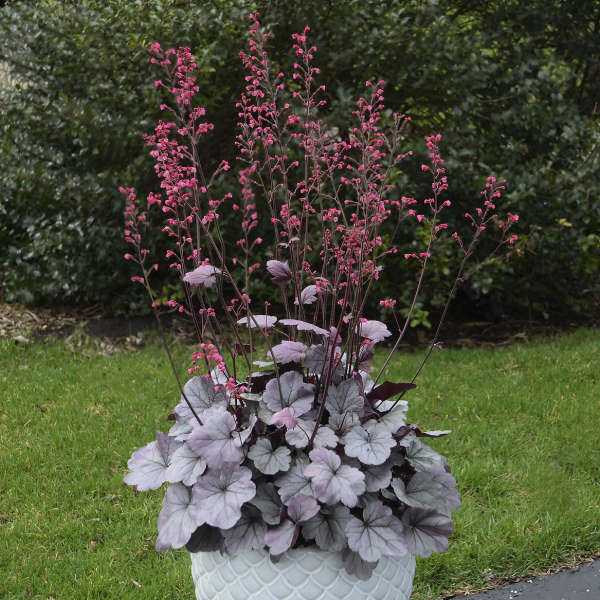 Unlike other silver Heucheras on the market, ‘Silver Gumdrop’ has vibrant pink flowers instead of the typical white or cream. 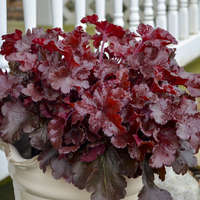 Match it with its silver, iridescent leaves with a semi-glossy finish and you have a winning combination. 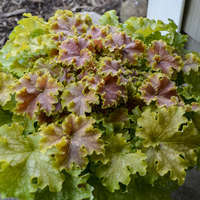 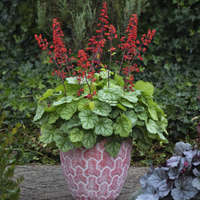 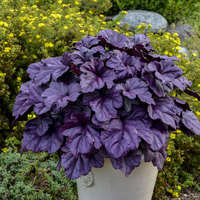 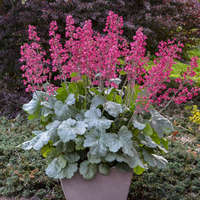 ‘Silver Gumdrop’ is a smaller scale Heuchera, the perfect size for a container. 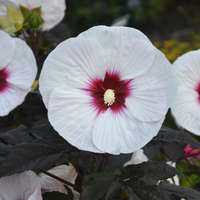 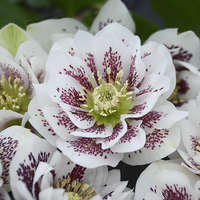 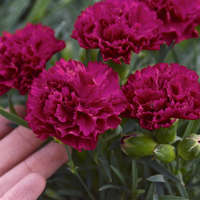 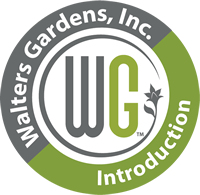 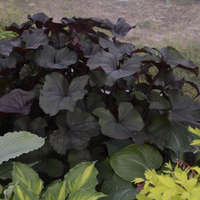 Growers and gardeners alike will be pleased that it is a vigorous grower for its size. 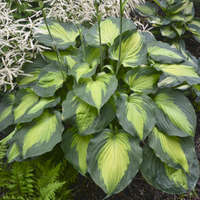 Its silver leaves take on a rosy blush overtone later in the season for additional interest.